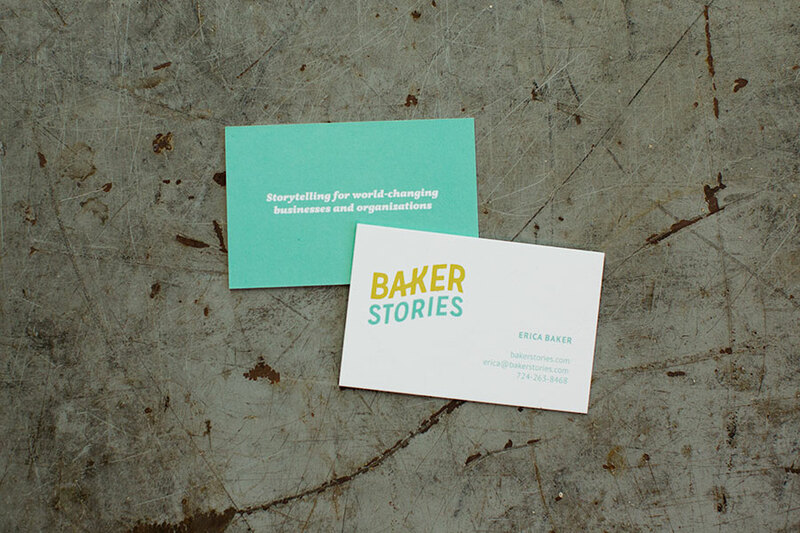 We received our new Baker Stories business cards from the printer this week and are excited to have one more piece of our branding finished. We love the colors and are incredibly thankful for Chris Baker‘s design skills with our logo. Who wants one? 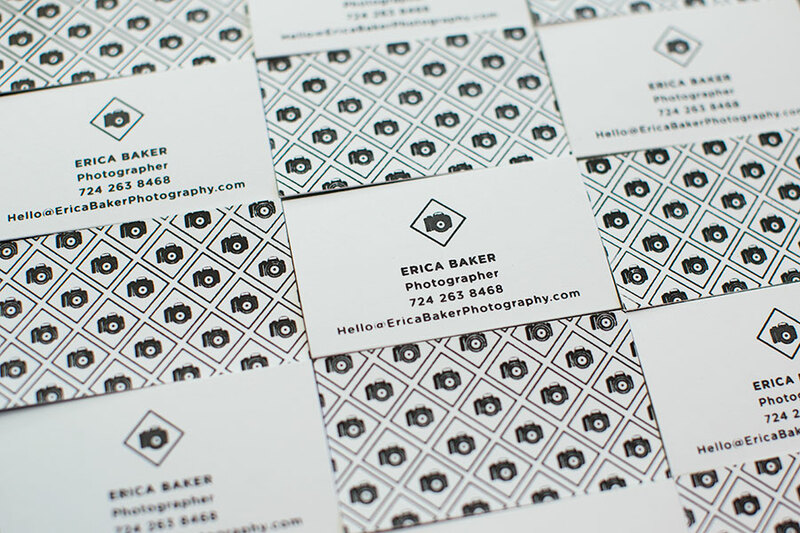 I also realized that I never shared my Erica Baker Photography business cards with you all – so here they are! I absolutely love the pattern that Chris put on the back of these cards. As I was laying them out to be photographed I realized I shouldn’t have let my perfectionist husband leave the house without helping me lay these out in straight lines! 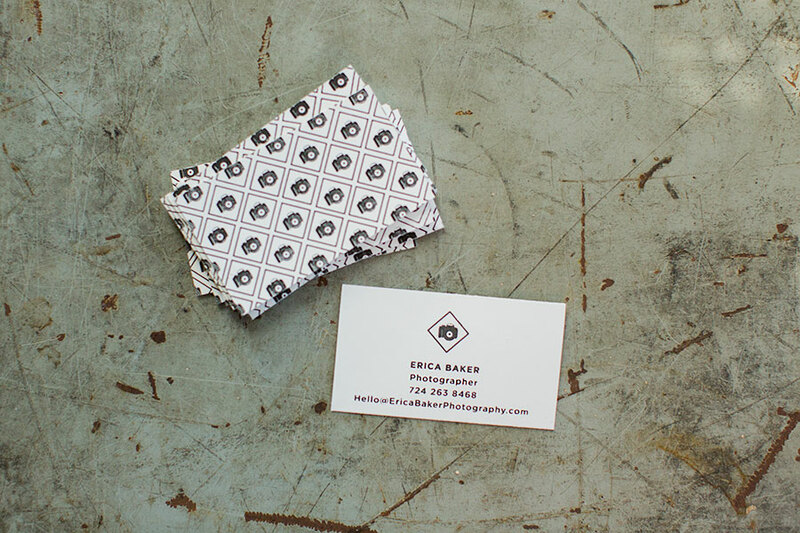 In my defense, they were hand cut, so I do not think the edges are perfect – but that is something I love about them. 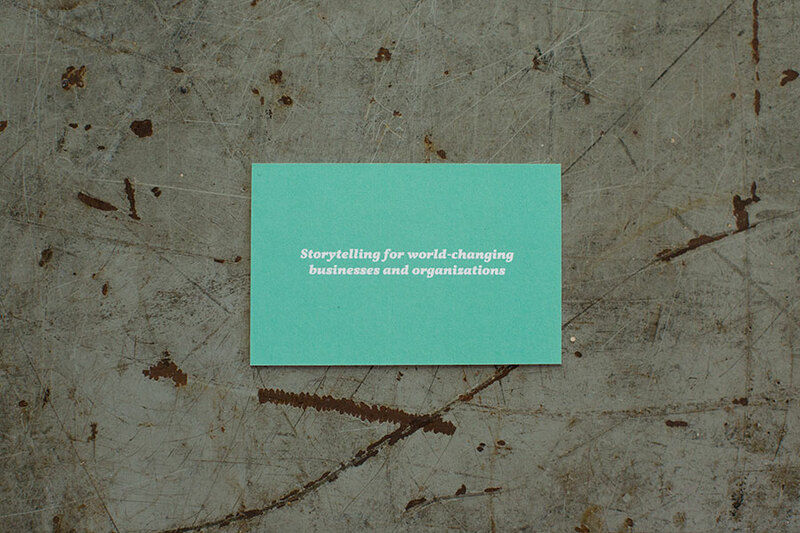 Anyone else love business cards as much as we do?